A phase diagram is a graphical representation of pressure and temperature of a material. Phase diagrams show the state of matter at a given pressure and temperature. They show the boundaries between phases and the processes that occur when the pressure and/or temperature is changed to cross these boundaries. This article outlines what can be learned from a phase diagram. One of the properties of matter is its state. States of matter include solid, liquid or gas phases. At high pressures and low temperatures, the substance is in the solid phase. At low pressure and high temperature, the substance is in the gas phase. The liquid phase appears between the two regions. In this diagram, Point A is in the solid region. Point B is in the liquid phase and Point C is in the gas phase. The lines on a phase diagram correspond to the dividing lines between two phases. These lines are known as phase boundaries. At a point on a phase boundary, the substance can be in either one or the other phases that appear at either side of the boundary. There are two points of interest on a phase diagram. Point D is the point where all three phases meet. When the material is at this pressure and temperature, it can exist in all three phases. This point is called the triple point. The other point of interest is when the pressure and temperature are high enough to be unable to tell the difference between the gas and liquid phases. Substances in this region can take on properties and behaviors of both gas and liquid. This region is known as the supercritical fluid region. The minimum pressure and temperature where this occurs, Point E on this diagram, is known as the critical point. Some phase diagrams highlight two other points of interest. These points occur when the pressure is equal to 1 atmosphere and crosses a phase boundary line. The temperature where the point crosses the solid/liquid boundary is called the normal freezing point. The temperature where the point crosses the liquid/gas boundary is called the normal boiling point. Phase diagrams are useful to show what will happen when the pressure or temperature moves from one point to another. When the path crosses a boundary line, a phase change occurs. Each boundary crossing has its own name depending on the direction the boundary is crossed. When moving from the solid phase to the liquid phase across the solid/liquid boundary, the material is melting. 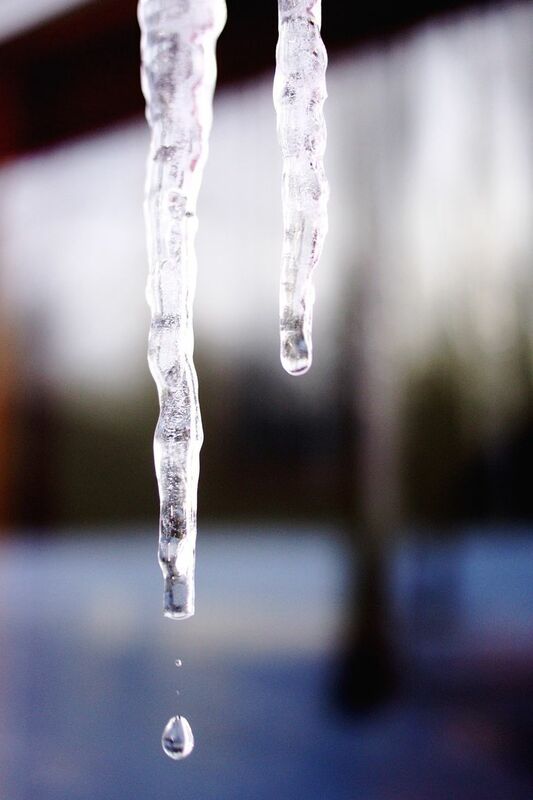 When moving in the opposite direction, liquid phase to solid phase, the material is freezing. When moving between solid to gas phases, the material undergoes sublimation. In the opposite direction, gas to solid phases, the material undergoes deposition. Changing from liquid phase to gas phase is called vaporization. The opposite direction, gas phase to liquid phase, is called condensation. While phase diagrams look simple at first glance, they contain a wealth of information concerning the material for those who learn to read them.